We’ve been speculating since Square got started that it would quickly infiltrate illegal markets. Partnered with prepaid debit cards, it offers an almost 100% anonymous method of accepting credit cards. 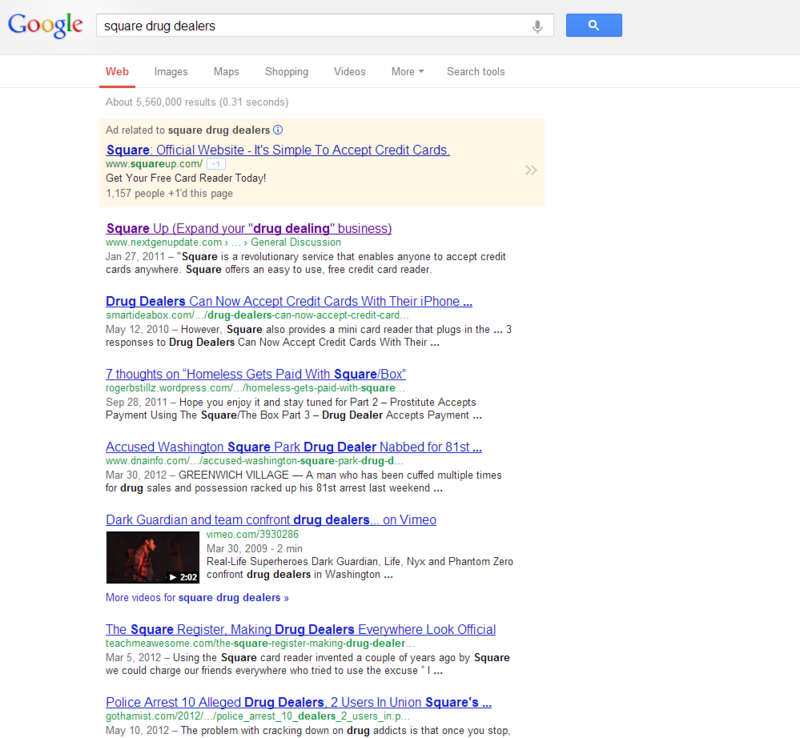 While reading some actual stories of drugs being purchased via debit card through a square reader, I went and did some searching on Google. To my surprise, not only are there multiple articles and instruction on how to accept debit cards for illegal sales, but Square is actually advertising for drug dealer related search terms. What a nice company.